The debit and mobile payments pilot program has now begun at a Canadian location. 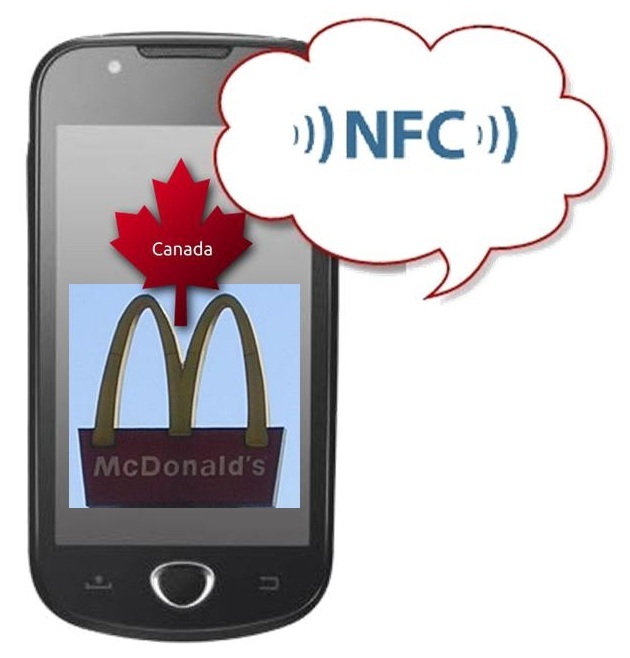 McDonald’s is making mobile commerce news headlines with its brand new NFC technology based transaction system, which is being introduced on a trial basis at a Canadian restaurant location. This would allow customers of the fast food giant to be able to pay for their meals using smartphones. The NFC technology system is being provided by Interact Flash, a contactless solution from the Interac Association. It allows people to use their enabled debit cards and smartphones to tap-to-pay for their purchases. This functionality is currently limited only to certain specific cards and devices. Also part of this NFC technology payments partnership is RBC Royal Bank, through their mobile app. RBC has integrated the NFC technology into their application which can be downloaded and used through BlackBerry smartphones that are enabled with a near field communication chip. Together, RBC and Interac have made it possible for McDonald’s to offer these mobile payments to its customers. He also added that it will soon be possible for people in Canada to be able to use their smartphones to “pay with Interac Flash quickly, conveniently and securely” when they are making their typical purchases in stores and restaurants. He explained that this will bring additional value for consumers, but also for partner financial institutions and for the merchants, themselves. The Interac Association debit card and payments services currently offers funds access to people in Canada at approximately 60,000 different cash points, as well as 766,000 point of sale terminals country wide. They have already led the way in the country for online debit payments and intend to use NFC technology to help to ensure a position as a leader in mobile payments, as well.